Try something a bit different and give a loved one a unique wooden postcard instead of a traditional card, Beautifully unique keepsake card. 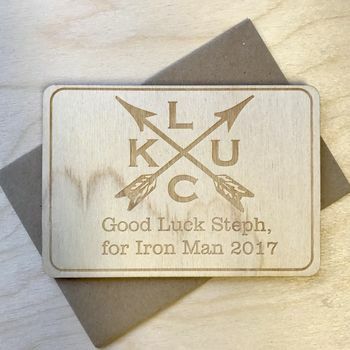 Wonderful thoughtful keepsake our God Luck wooden post cards, can be personalised with your own message, ideal for newly wedded couples, engraved with their names and date of the wedding, charming keepsakes. Give someone a lovely Good Luck card personalised with your own thoughtful message, showing your loving attention to detail. Our stunning new range of wooden postcards are a unique alternative to a card. 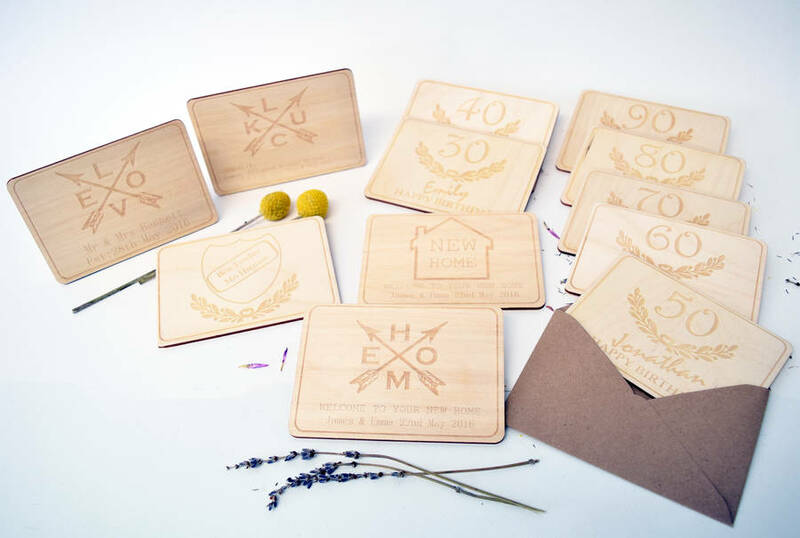 You can write your message on the back, straight on to the wood and send as it is or pop it in an envelope! 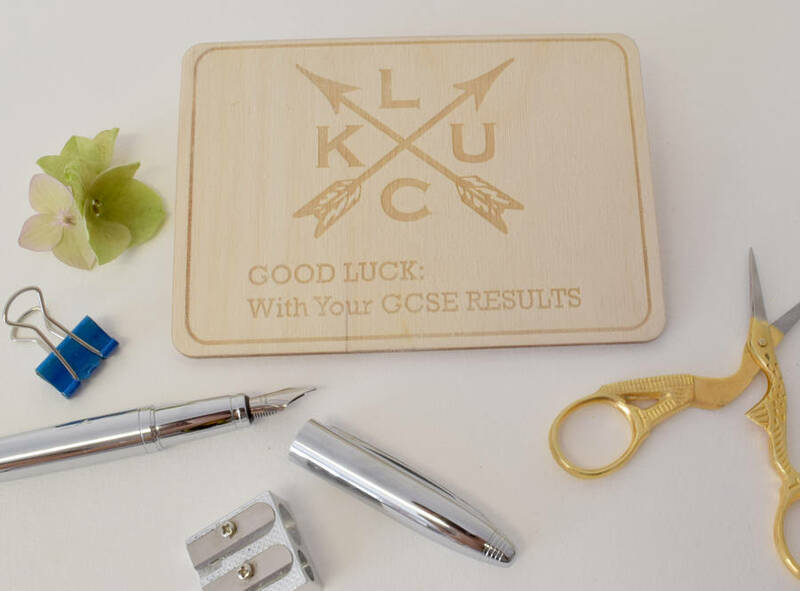 This postcard features the word 'Luck' in a modern arrow design. Or for other designs, choose from the list from our new home, to birthday postcards. 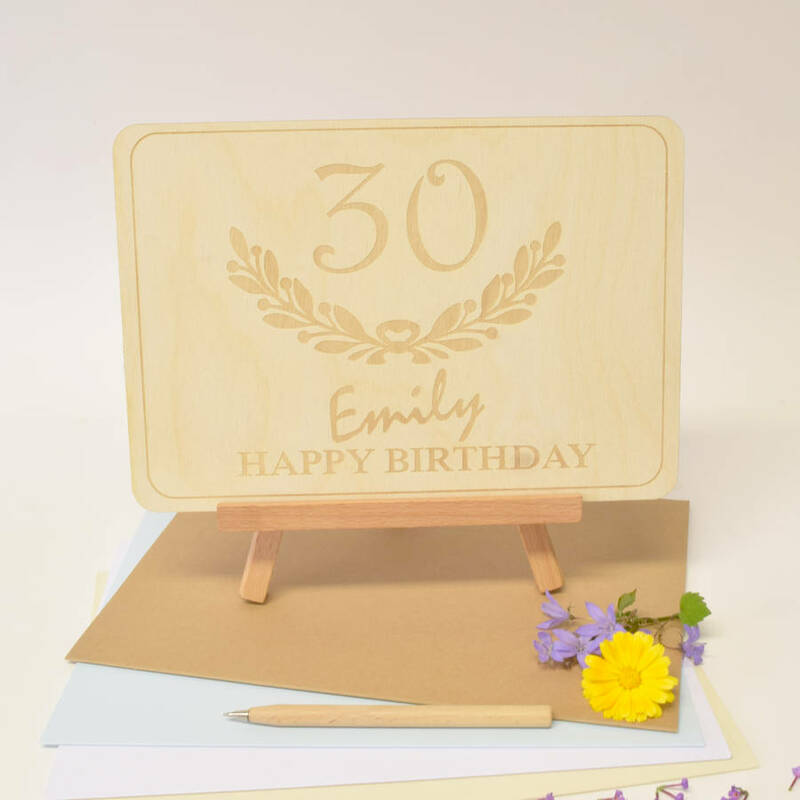 We can engrave any birthday number on to the birthday postcard, so if you don't see the number you are looking for pick 'custom birthday'. Choose from the standard postcard size or go big with the A4 size option! 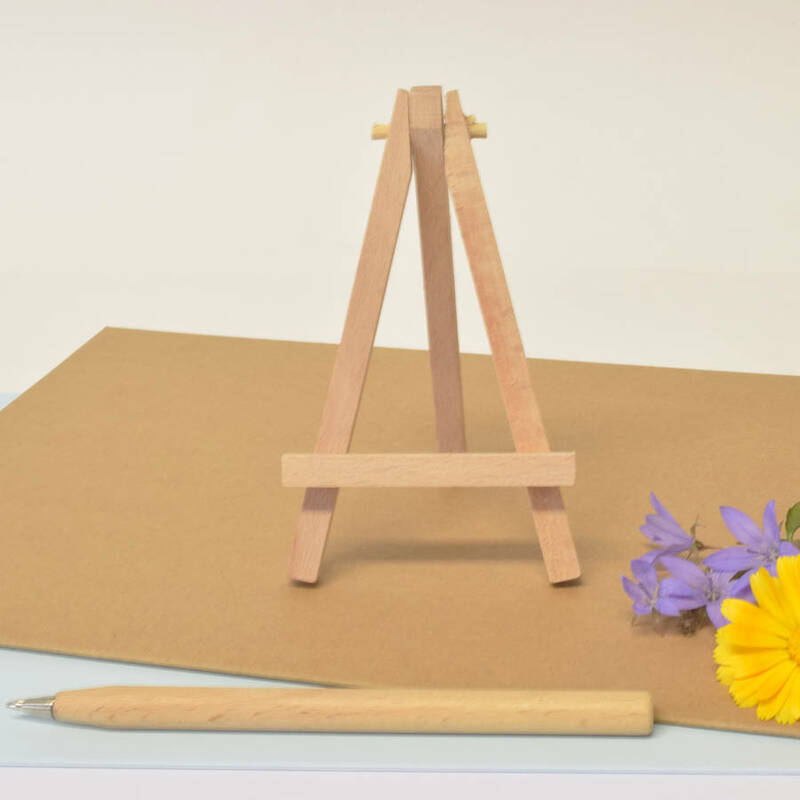 You can now add a wooden display easel to your order, as the perfect finishing touch to your card! Simply pop the card on the stand for an extra special gift. If you would like this item in a different colour/shape etc then please get in touch and we can create a customised design especially for you. Made from high quality 4mm birch plywood.